I had a bit of downtime after weeks of shooting so when my favorite stylist Annie Palmiotto asked to set up a test I jumped on working together. We wanted something that was relaxed and gave the story of a fashionable woman’s late afternoon wandering after her house taking in the sun, drinking wine, and enjoying a slow evening. 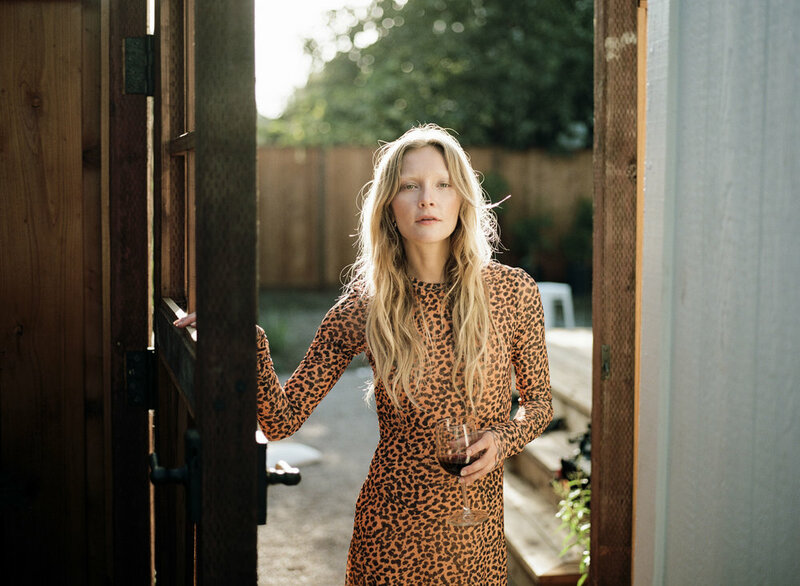 We decided to work with model Alexis Hutt, who I shot for Harper’s Bazaar TR last year HERE, and met her at a small home in Santa Cruz for the shoot. I decided to shoot this story all film to put me in a relaxed and more meditative state and I’m very excited about the results from our evening shoot together.